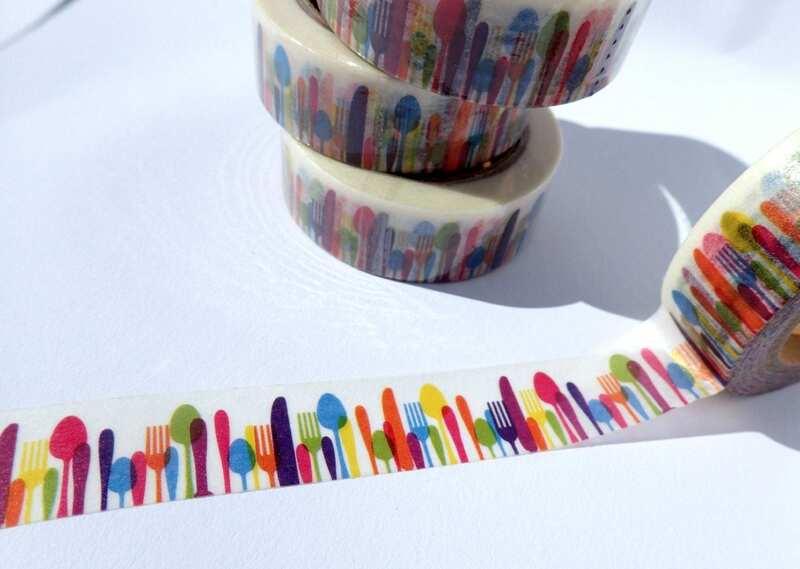 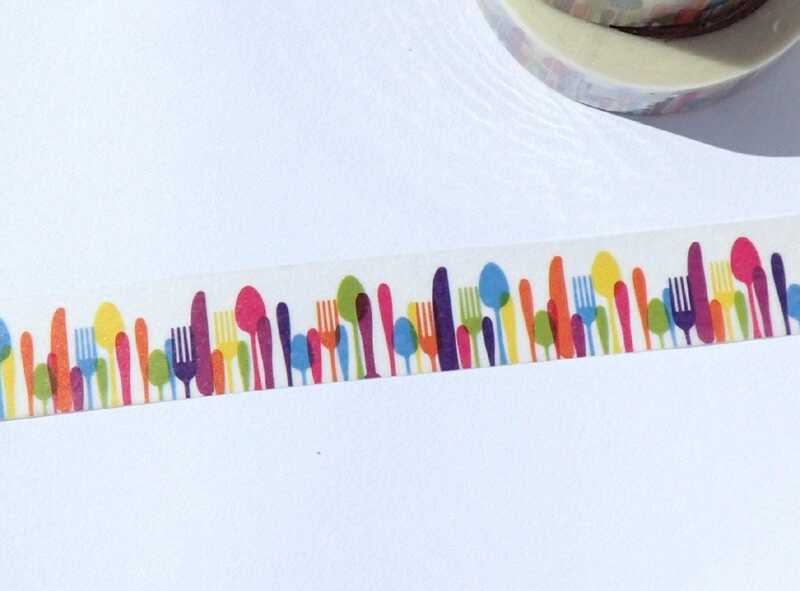 This washi tape has colorful images of forks, knives, and spoons. 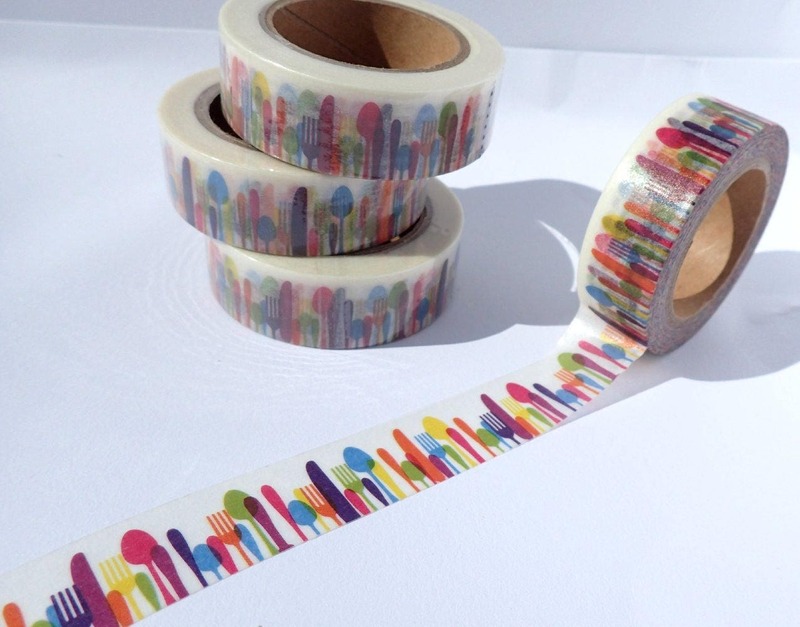 Great for decorating your recipe box or marking your night to go out for dinner in your planner. 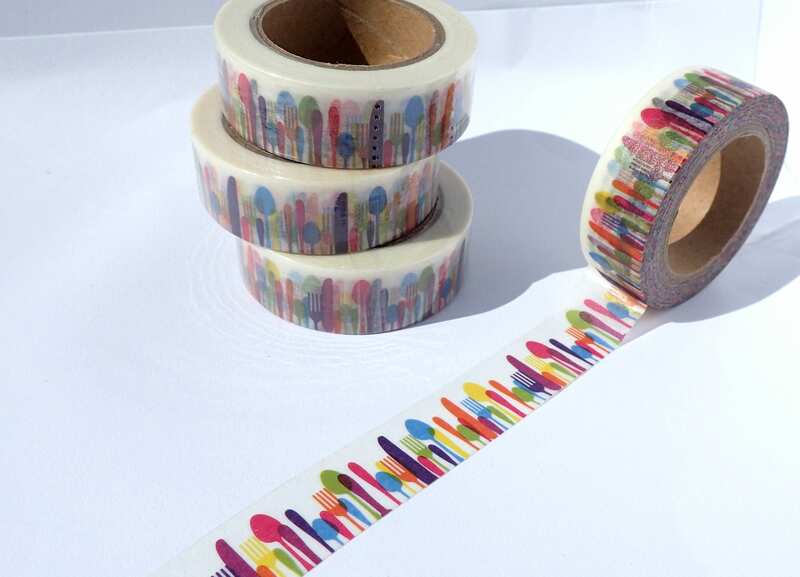 Washi tape can be easily written on. 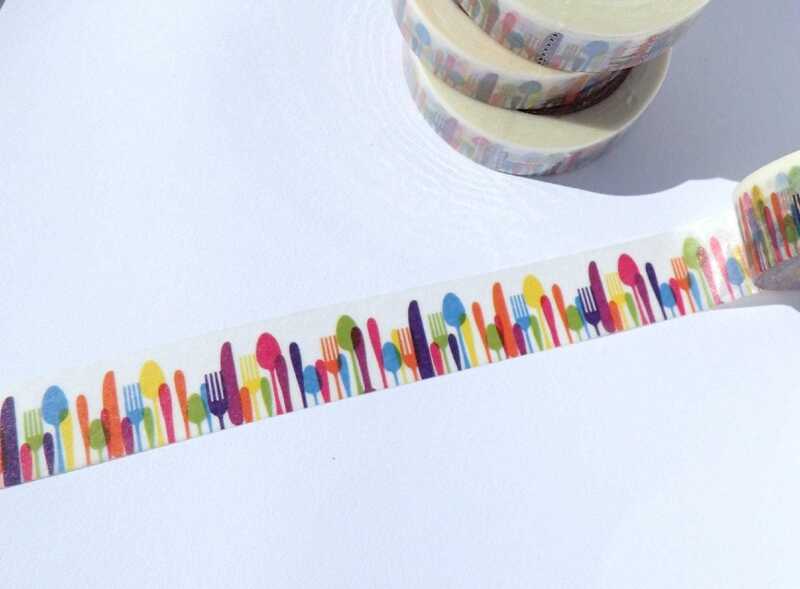 So tape these on your fridge, in your notebook, or make them part of your weekly planner or calendar!